As a team on the Crappie USA Tournament Trail, Todd Dalton and I have the opportunity to fish some of the best crappie lakes in the nation every year. But for both of us, there is nothing like coming home to Lake Cumberland. With excellent quality and quantities of both black and white crappie averaging in the .75 to 1-pound range, there is also the opportunity to catch fish well over the 2-pound mark. Lake Cumberland seldom disappoints when it comes to quality-sized crappie. Lake Cumberland has a reputation as one of the best striped bass lakes in the nation, and also offers excellent small mouth fishing. But it is often overlooked when it comes to crappie. 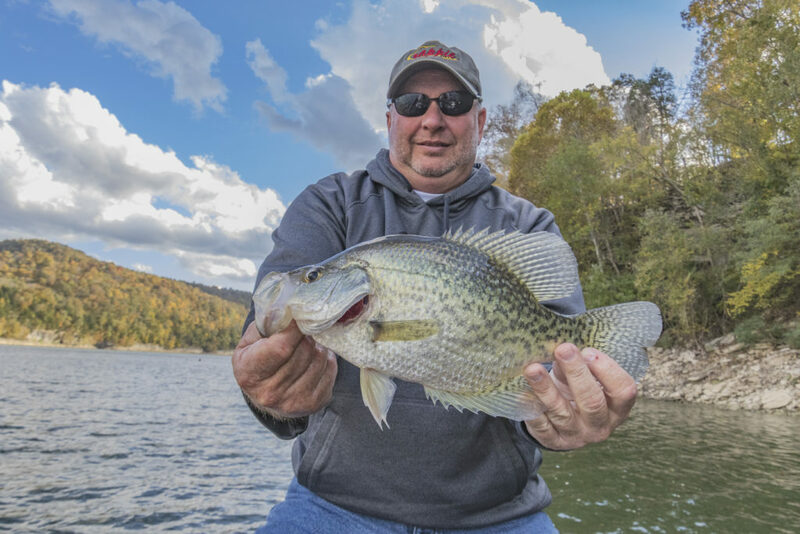 In 2016, the Kentucky Department of Fish and Wildlife Resources rated the Lake Cumberland crappie fishery as “excellent” with modest density, but very good size range. Large crappie (12-14 inches) are fairly abundant compared to historical averages. Flooded trees should benefit the crappie population for the foreseeable future. During the 2016 spring Crappie USA tournament on Lake Cumberland, it took a total weight of 23.76 pounds in the pro division and 23.49 pounds on the amateur side to win. Also in 2016, only two other lakes on the trail had larger weights to win, and with the big fish weighing 2.49 pounds, only four other lakes offered up larger big fish weights. With more than 65,000 acres of creeks, coves and rivers, Lake Cumberland provides anglers with many different opportunities for catching crappie using a wide variety of methods — from spider rigging, long lining or pushing/pulling crank baits on flats and in the backs of creeks, to casting around cover in coves and ledges, or vertical jigging over brush piles or shooting docks. 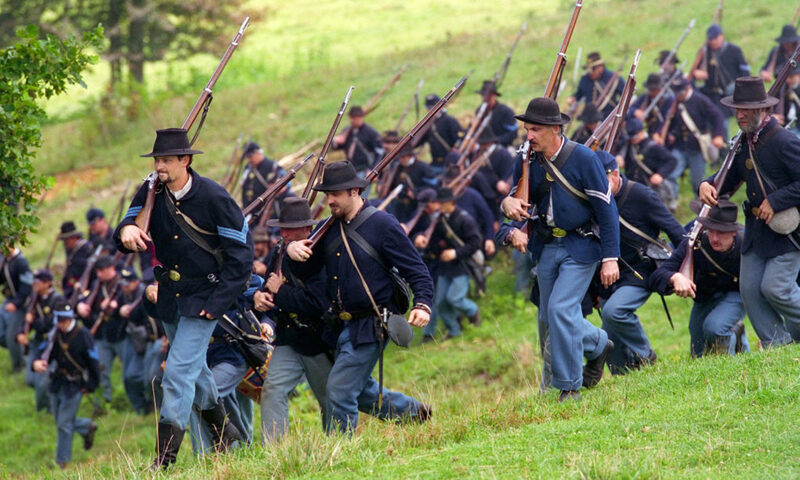 Any of these methods can be productive. D&M Fishing’s Robert Massey holds a crappie caught on Lake Cumberland. • Lake Cumberland is a clear lake that sometimes requires anglers to use techniques they don’t often use on other crappie lakes. One of our favorite methods is to cast jigs using light line (4-pound) and 1/32-ounce to 1/16-ounce jig heads past cover and letting the jigs fall back through or over the cover. This method is productive year-round and especially during the fall and winter months. • The spawn on Lake Cumberland usually occurs mid-April when the water temperatures reach the 58 to 65 degree rang. During the weeks prior to the spawn crappie will start moving to the back of creek channels and hold there until water temperatures climb above the 70 degree mark. 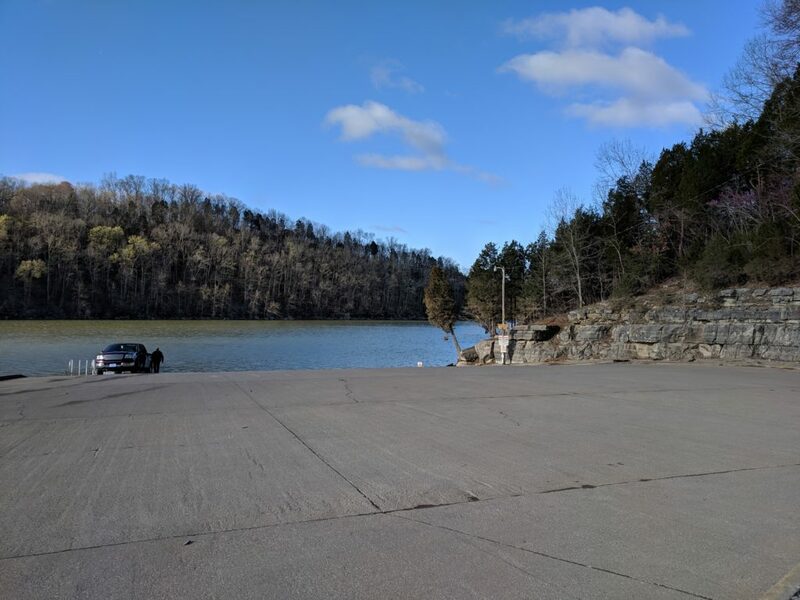 • Lake Cumberland is also a deep lake, and as the lake temperatures rise, the crappie will go deep, holding in 25 to 30 feet of water and sticking tight to cover. When this happens, it can really be confusing to anglers who spend most of their time fishing shallower lakes. When the fish do go deep, vertical jigging around structure is one of the most productive methods. • Some of the most productive lure colors to try on Lake Cumberland are chartreuse (our go-to color), blue and pearl. When the water becomes tinted as it often does after large rain events, switching to darker colors like chartreuse and black and using scents like Brush Pile Crappie Attractant or tipping jigs with Magic Bait Crappie Bites can really be helpful. We hope you will make your next trip to Lake Cumberland for some excellent crappie fishing. We promise it will not disappoint. Robert Massey and Todd Dalton are partners in D&M Fishing, and compete on the Crappie USA Tournament Trail. See D&M Fishing photos on Lake Cumberland by searching #LC365 on Facebook, Twitter and Instagram, and use #LC365 to share your own. 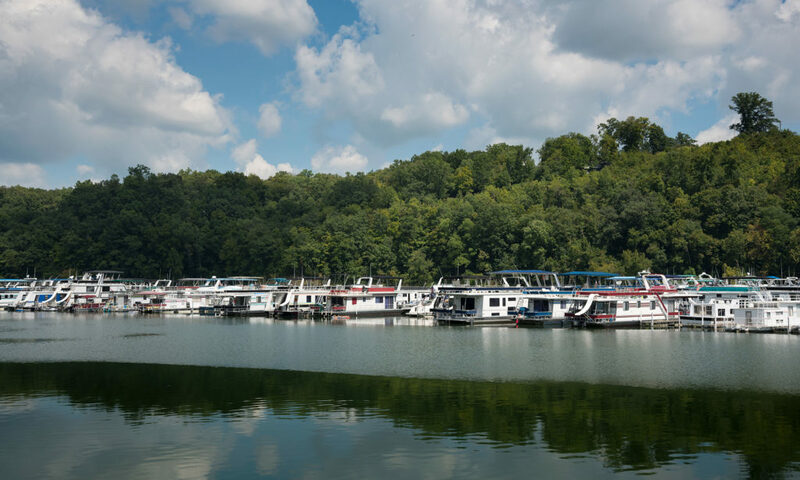 For more information about accommodations and events on Lake Cumberland, visit lctourism.com or call the Somerset-Pulaski County Convention and Visitors Bureau at 1-800-642-6287.